When conventional cable installations are impractical or impossible, WTI's AR4000 short range fixed site systems provide high-quality, real-time wireless video transmission and reception. 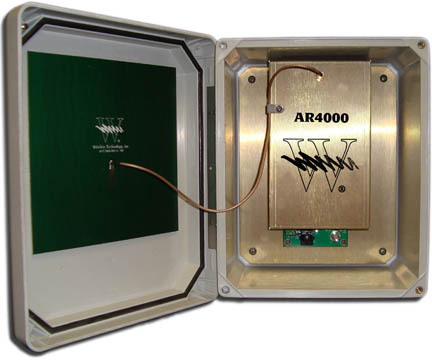 The AR4000 systems provide exceptional performance through all climates and are not affected by fog, rain or snow. Eight field selectable channels of operation. LED power lights on both transmitter and receiver.